Recently iWeb.com launched a spinoff website called Funio. Unlike iWeb, Funio is strictly a shared host that gives you unlimited domains, bandwidth, memory and so on. You get all the basic things you get from other shared hosts and this shouldn’t be a problem. However, there have been a lot of issues with this host and many users are quite dissatisfied – just take a look at the comments and Funio reviews left on our site. If you are using Funio or considering them then you should check out these problems and the alternatives to their service. Some users have been reporting issues regarding Funio. Loading times is a big issue that seems to be affecting most websites. If you have a simple static HTML page, then you may not notice the issue. However, people who have installed WordPress, Drupal or Joomla are experiencing major lags in performance. Most users with a CMS are encountering 15- to 60-second load times during peak times, such as the afternoon. While this could be understood if people were using complicated and memory-heavy themes, this load time is specifically for simple themes. Complicated ones have to wait even longer. Another issue people are bringing up with Funio is poor IT support. Since you are not in charge of the servers, having good IT support is necessary when you are hosting a website. If there is a problem you expect Funio to professionally deal with it. However, this isn’t the case. The customer support seems scattered and disorganized from the iWeb to Funio migration. They don’t handle issues quickly and sometimes you have to keep calling to fix a minor problem. This isn’t the type of host you want to stick with. Some people are also experiencing issues with domain pointing and transitions. In regards to domain pointing, it seems that most people are having trouble making their website appear on Funio’s server. This can be an issue if you commonly buy domains from another provider. One alternative to Funio is Web Hosting Canada or WHC.ca, a web hosting provider located in Montreal, Quebec. Unlike most other shared hosting providers that just offer unlimited hosting, WHC.ca actually tells you how much memory and bandwidth you have. This is useful for people that generally go over their server limits with other shared hosts. The price starts at $3.95 a month and goes up, depending the type of hosting you want. Indeed, they also offer Cloud servers for more performance. You can also choose between Windows and Linux hosting, another rarity among shared hosts. While their shared hosting is not as good as a VPS — they offer VPS hosting as well — it is still very professional and works great for anyone’s needs. While GreenGeeks started in the United Sates, and now has offices in Canada as well. It is a very popular host for many different countries and regions. GreenGeeks has been around for many years, and is know for being a green host. They specialize in small blogs, WordPress sites, business websites and ecommerce pages. They offer three different plans and unlimited hosting. Their plans start at $3.95 for unlimited hosting with unlimited domains on the account. They also offer VPS hosting, which is great for larger websites, as well as WordPress hosting for those who want a managed WordPress hosting environment. One of the best things about this provider is the customer support. Usually you can’t do anything except complain if a digital ticket is being knocked around. You can actually directly email HostGator’s owner if the ticket is not being worked on, which will ensure that you are satisfied. Stationed in Toronto, HostPapa.ca is a powerful little shared hosting provider that is entirely green. The business is 100 percent wind powered. 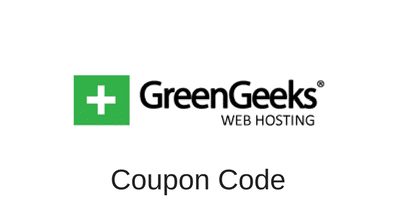 This provider gives you unlimited hosting, which is perfect for your small or medium website. Prices start at $7.95 a month, but you can get a trial price of $3.95 a month when you first sign up. This provider uses modern Linux hosting and powerful security measures to ensure that your website stays up all the time without interruptions. They offer French and English support and their servers are very fast. This eliminates load time problems and it lets you easily store your website online for maximum customer or reader exposure. While Funio’s promise of 100% uptime and 24/7 customer service seems great, it seems like the really missed the ball on this. They are having a lot of problems with their servers and their load times are atrocious. This all could be because Funio is relatively new and they haven’t knocked out the kinks yet. However, for the time being, it’s best to move to another host. Try one of the three alternatives above. They all offer great hosting options at great prices. Whether you have one tiny website or a large business page you should be able to find a host to satisfy your needs from one of the three above. You are 100% right. I do agree with you, I’m planing to change funio, even to godaddy I don’t care.